Well here we are, year 5! It seems like yesterday we posted our introduction to the world. We’ve covered a lot of ground in five years and because of your support, we are moving forward in our pursuit of non-profit status. What can we accomplish as a community collective you ask? We’ll be able to contribute more to the community in the way of rides, rodeos, and advocacy. With some work, we’ll even be able to open a community bike shop where children and people in need can learn bike building skills, safety, community involvement, and earn their own bike. But before we do that, let’s start the season right with our spring kickoff! Join us for our 5 year anniversary as a bike collective! Admission is free and open to all. 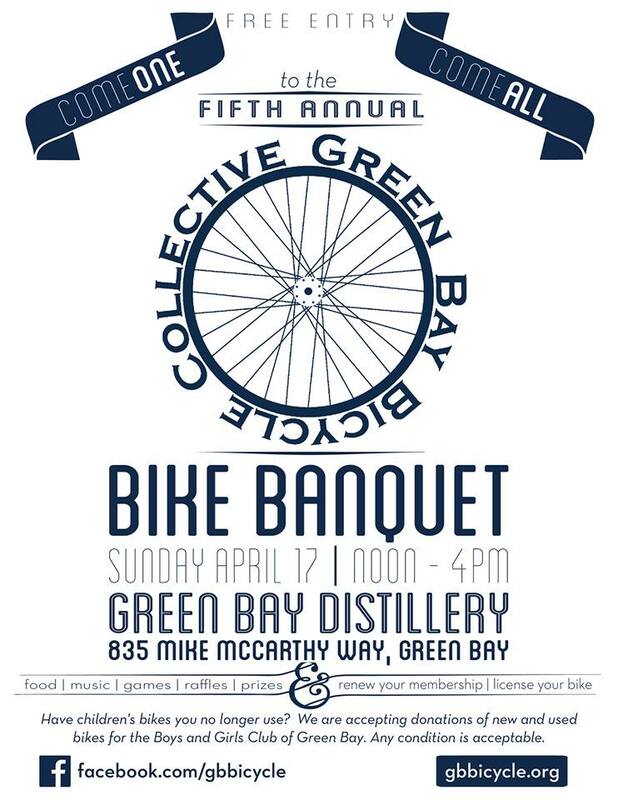 We will have music, games, raffles, bike polo, a ride around Lambeau Field, and food/beverage for purchase. Plus, you can renew your bike collective membership and license your bike! Starting this year, members will receive discounts at a number of local bike shops. Have any children’s bikes you no longer need? We will be accepting new or used children’s bikes for the Green Bay Boys and Girls Club. See you there!